You've seen a dodgy ebay listing and wonder what we think? Seen pics of the new XYZ and want to know what we think? Seen something stunning and want to share it???? Thinking of telling us to look at '20967435618 on fleabay', or 'Google XYZ and its the first link'???? Well..... STOP!!! So it's nice to be able to see what everyone's talking about. Ill start posting the URL now. Agree...but its often the hilarious text that we need to read as well. Hi Jon, did somebody slip in and whip your bid from under you? Bad form......well sounds that way. I hope that we as a little community would respect our fellow bidders first come first serve rights....but then is that me just being old fashioned? Good guide to show us how to add the links! Finding an Ebay auction is easier than passing wind. Seriously. In Firefox 3.x.x just configure (or add, it's not there, with the "Manage search engines" feature, click "Get more search engines") the eBay search engine, click CTRL+K (Command+K on Mac OS, I think), and enter the number. OR ... just right click in an eBay search box, select "Add a keyword for this search..." and in the dialog give a name (I use "[site name] searchbox" for all my search keywords), and for keyword assign "ebay." 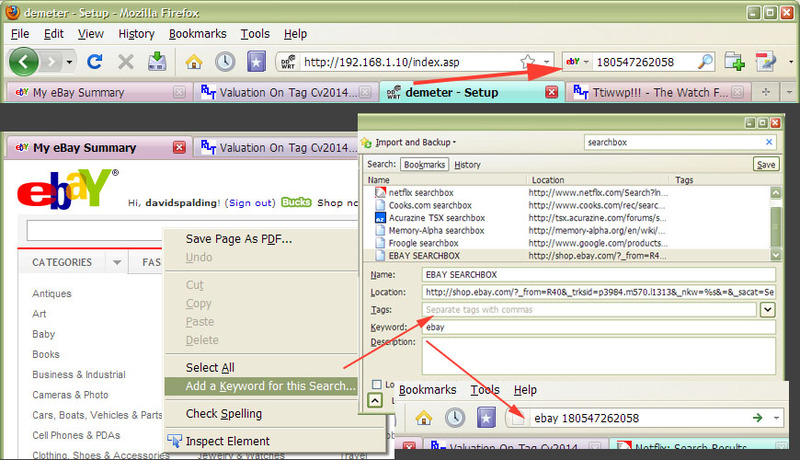 Now, in the location window (CTRL+L), simply type the keyword "ebay" and the auction number,... voila, here's your item. Within roaring distance of Stamford Bridge. Sadly. 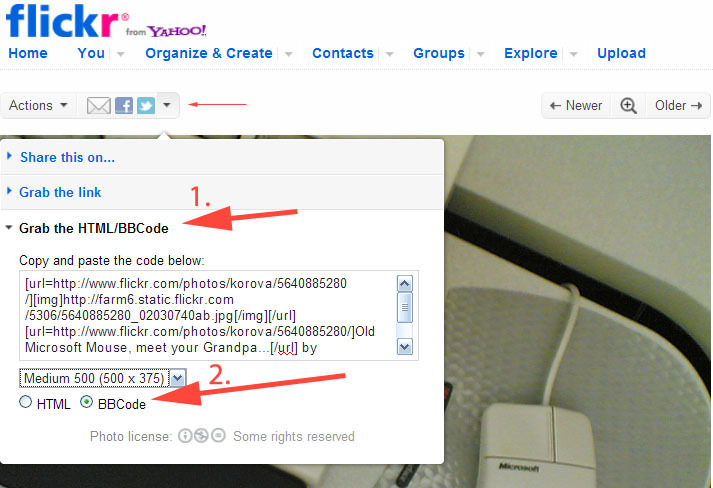 Here's what the "share with BBS code" dialog looks like on Flickr.com (great photo album site, BTW). You can only select and copy the entire "grab this text" content, but you only need the content starting and ending with the IMG tags within the "[ ]" square brackets. Just paste the YouTube URL into the topic....no embed code etc are needed. Gonna give it a go... stand by. Btw, great song, that. Hope you enjoy it. Please pardon my utter stupidity, but despite 30+ years' IT experience, I am unable to post pictures into a topic. Picture files that reside on my local hard-drive do not have a URL, they have a file location. There does not seem to be a file uploader on this site - or if there is it's hiding very successfully. Check out this thread "How to post a picture on the forum"
In the lift with Salma holding her jacket. I wish.